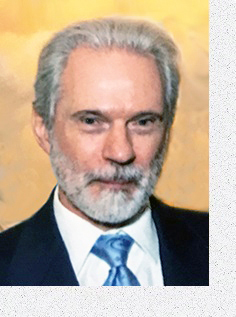 RAYMOND LLOYD RICHMOND, PH.D. holds his doctorate in clinical psychology and is licensed as a psychologist (PSY 13274) in the state of California. Previous to his doctoral degree, he earned an M.A. in religious studies, an M.S.E. in counseling, and an M.S. in clinical psychology. During the course of his education he received training in Lacanian psychoanalysis, psychodynamic psychotherapy, hypnosis, and cognitive-behavioral therapy. He completed a Post-doctoral Fellowship in Health Psychology. His clinical experience encompasses crisis intervention; treatment for childhood emotional, physical, and sexual abuse; trauma and PTSD evaluation and treatment; and treatment of psychotic, mood, and anxiety disorders. Richmond, R. L. & Carmody, T. P. (1999). Dropout from treatment for chronic low-back pain. Professional Psychology: Research and Practice, 30(1), 51-55. Richmond, R. L. (1997). The fourth pleasing idea. American Psychologist, 52, 1244. Richmond, R. (1992). Discriminating variables among psychotherapy dropouts from a psychology training clinic. Professional Psychology: Research and Practice, 23(2), 123-130. Richmond, R. (1986). Biorhythms. Soft Sector, 2, 28-33. Richmond, Raymond Lloyd. Disasters and Trauma: The Psychological and Spiritual Battle Against Evil. Richmond, Raymond Lloyd. Psychology from the Heart: The Spiritual Depth of Clinical Psychology. Richmond, Raymond Lloyd. Anger and Forgiveness (Third Edition). Shows how to turn the emotional wounds of daily life into psychological growth. Collected texts about the spiritual depth of clinical psychology. The Struggle for Psychological and Spiritual Growth.